Francesco Fiorentino, Ph.D., Anil Biricik, M.Sc., Sara Bono, B.Sc., Letizia Spizzichino, B.Sc., Ettore Cotroneo, B.Sc., Giuliano Cottone, B.Sc., Felix Kokocinski, Ph.D., Claude-Edouard Michel, Ph.D.
To validate a next-generation sequencing (NGS)–based method for 24-chromosome aneuploidy screening and to investigate its applicability to preimplantation genetic screening (PGS). 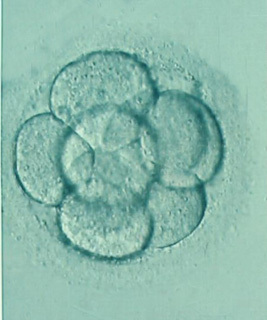 Eighteen single cells and 190 WGA products from single blastomeres, were blindly evaluated with the NGS-based protocol. In total, 4,992 chromosomes were assessed, 402 of which carried a copy number imbalance. NGS specificity for aneuploidy call (consistency of chromosome copy number assignment) was 99.98% (95% confidence interval [CI] 99.88%–100%) with a sensitivity of 100% (95% CI 99.08%–100%). NGS specificity for aneuploid embryo call (24-chromosome diagnosis consistency) was 100% (95% CI 94.59%–100%) with a sensitivity of 100% (95% CI 97.39%–100%).